Uveitis is the inflammation of the uveal tract, with different approaches available for uveitis treatment. As the underlying issue is inflammation, uveitis treatment is primarily aimed at stopping the biochemical processes that cause and sustain inflammation. There will also be other considerations such as whether the uveitis is caused by infection or autoimmune disease. Various investigations will need to be conducted particularly for recurring or bilateral uveitis. 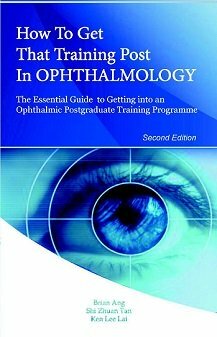 Also important is whether the uveitis has resulted in complications such as cataract and glaucoma. Corticosteroids (often just called steroids for short) are the mainstay of treatment for uveitis. By dampening the immune and inflammatory response, steroids help to limit the tissue damage caused by the uveitis. Steroid eye drops, such as prednisolone and dexamethasone, are usually sufficient for anterior uveitis treatment. This is because the inflammation is at the front of the eye at the level of the iris and ciliary body. 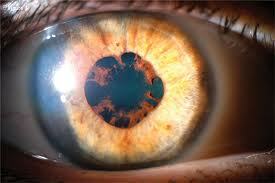 The steroid from the eye drops can be absorbed into the eyeball via the cornea to directly act on the inflamed iris. Steroid eye drops are usually given as a course over a few weeks. A typical steroid regime would be 4 times daily for 1 week, 3 times daily for 1 week, twice daily for 1 week, once daily for 1 week and then stop. The treatment regime is altered according to response to treatment. It is not uncommon for those with difficult chronic uveitis to be on one drop of steroid a day on a long-term basis to keep the inflammation at bay. Steroid injections can also be given for more severe cases of anterior uveitis or uveitis that has affected the back portions of the eye (posterior uveitis). The injections can be given either around the eye (periocular) or into the vitreous cavity in the eyeball itself (intravitreal). Common steroids used for injections include triamcinolone and dexamethasone. The main reason for injections is because the injections will deliver the steroid to where it is required - the back of the eye. The steroid also lasts longer when injected. Hence, the injected steroid will have a stronger and longer effect on the back of the eye than eye drops. Depending on the clinical response, steroid injections may need to be repeated every few months or so. The risk of severe infection of the eyeball following intravitreal steroid injections is around 1 in 1000. To reduce the risk of infection, your ophthalmologist will perform the intravitreal steroid injection under aseptic conditions. You will be awake, but don't worry - your eye will be sufficiently numbed with anesthetic eye drops during the 10-minute procedure. Systemic steroids are also given for posterior uveitis and sometimes for severe cases of anterior uveitis. Uveitis treatment with steroid tablets involves taking a course of typically prednisone or prednisolone, over a period of several months. Often the dose starts at a high level, such as 60 mg daily, and this is then reduced over the next few weeks. The ideal scenario would be to control your uveitis with a prednisolone dose of less than 10 mg daily. Very occasionally, you may need an infusion of steroid into your veins for very severe inflammation. The main advantage of systemic steroids is that the anti-inflammatory effect covers the entire eye. Systemic administration is therefore very effective for widespread ocular inflammation. However, it is also associated with systemic side effects of steroids. The problem with steroids is that they will cause wide-ranging side effects. In the eye, steroids can cause the lens to become opaque and form a cataract. They can also elevate the eye pressure sufficiently to cause damage to the optic nerve, thus leading to glaucoma. Elsewhere in the body, steroids can weaken your bones and cause osteoporosis. They reduce the ability of the body's immune system to fight against infection. They can significantly affect blood sugar control for those with diabetes mellitus. They can also cause high blood pressure and gastric ulcers. Steroids will also likely affect your sleep and mood. Hence, steroids should not be used on a long-term basis if at all possible. However, sometimes the uveitis recurs as soon as the steroids are discontinued. If long-term use is unavoidable, then your ophthalmologist will strive to get you on the minimum possible dose required to control the inflammation. If you are on systemic steroids, it is important that you have regular monitoring of your eye and general health. You may also need to take tablets to strenghten your bones and to protect your stomach from gastric ulceration. You must not take steroids if you have an active infection. Make sure you discuss your health condition with your ophthalmologist before you start on oral steroid medications. In severe cases of inflammation, the inflammation does not settle despite prolonged uveitis treatment with systemic steroids. When this happens, additional treatment is required to control the uveitis. Immunosuppresive agents work by suppressing your body's immune cells, thereby giving additional anti-inflammatory action. Examples of these drugs include Azathioprine, Methotrexate, Mycophenolate mofetil, Cyclosporin A, Cyclophosphamide and Tacrolimus. Biologic agents are antibodies that can manipulate the inflammatory response in uveitis to achieve control. Examples of biologic agents include Infliximab, Etanercept and Adalimumab. When used in conjunction with steroids, both immunosuppressive and biologic agents can be very effective uveitis treatment modalities. They are either taken orally or injected, and therefore like steroids, they are also associated with significant side effects. They should only be used under close supervision with specialists experienced in the use of these medications. Side effects include liver failure, kidney failure, reduced immunity against infection and potential increased risk of blood cancers. If you are on immunosuppressive or biologic agents, you will need to undergo regular blood tests. Mydriatics: These are medications that dilate the pupil. By dilating your pupil, you relax the muscles in the iris and relieve the muscle spasm caused by the uveitis. This makes the eye feel more comfortable and less light sensitive. Mydriatics are also important to break any adhesions between the iris and the lens (posterior synechiae). Mydriatic medications can either be applied as eye drops or given as injections around the eyeball. Examples include: Cyclopentolate, Tropicamide, Phenylephrine and Atropine. This is an eye with uveitis that had 360 degrees of posterior synechiae, where the whole pupil was stuck down to the lens surface. Treatment with mydriatic eye drops has successfully broken most of the adhesions, and has allowed the pupil to dilate normally again. Non-steroidal anti-inflammatory drugs (NSAIDs): These are also anti-inflammatory medications, but work on a biochemical pathway that is different to steroids, hence the term 'non-steroidal'. They are not as strong as steroids, but can be useful against mild forms of uveitis. NSAIDs are taken either as tablets or as eye drops. They have a lower side effect profile and are somewhat safer to take compared to steroids. That said, NSAIDs are known to cause kidney failure and stomach ulcers. Oral NSAIDs that you can buy over the counter include ibuprofen, flurbiprofen, naproxen and diclofenac. Ketorolac and diclofenac are 2 examples of NSAID eye drops. Intraocular surgery: Sometimes with uveitis, intraocular surgery becomes unavoidable. Vitrectomy surgery to remove the vitreous may be required if there is too much inflammatory debris in the eye or if there is a retinal detachment (retinal detachment surgery). If the uveitis causes a cataract that is impairing vision, then cataract surgery will be required. 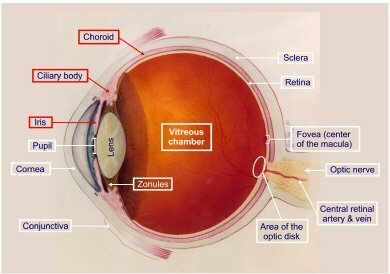 Having had cataract surgery also helps improve the visualization when your eye is being examined. The uveitis (or the steroid treatment) may cause your eye pressure to become elevated. This may necessitate treatment with pressure-lowering eye drops or even glaucoma surgery if the eye pressure remains uncontrolled.